This week, Her Campus Emerson has decided to highlight influential women of the modern era. These women have all made an impact on our writers in one way or another, and they have all chosen to highlight their work and recognize them for their achievements. Thank you for taking the time to learn about the women who inspire our writers! There are only a million reasons to love her and don’t be fooled by her poker face, all the bad romance just fuels her. Alright, enough with the puns. But seriously, this Lady’s got it all. Her recent film debut in blockbuster hit A Star is Born, and the subsequent success of the soundtrack featuring original songs written by Gaga herself, has thrust her once again into a very big, very bright spotlight. But first, let’s back up a little. While most people are generally familiar with Gaga’s rise to fame, to really now the gal you’ve got to know the details. Originally born Stefani Joanne Angelina Germanotta on March 28, 1986, Gaga grew up Catholic and in the Upper West Side of Manhattan with a younger sister named Natali. She attended the same private, all-girls Catholic school as Paris and Nicky Hilton and credits her schooling as something that sets her apart from other performers. She started to learn to play the piano at age 4 and, in addition to being cast in school productions, was performing at open mics by the age of 14. 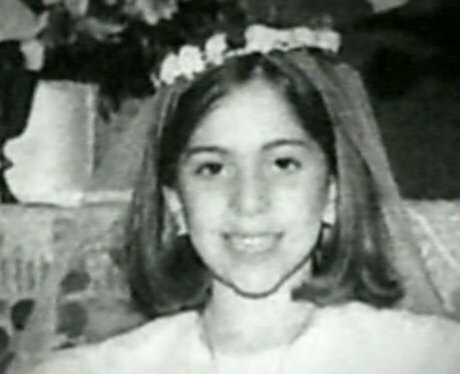 Despite the evident talent and drive, Gaga was a victim of severe bullying as a kid. “I don’t think I realized how deeply bullying affected me until later in life,” she revealed in a 2011 MTV documentary while talking about the one time she was actually thrown into a trash can by a group of vicious boys. Gaga got in to the New York University Tisch School of the Arts on early admission when she was 17, but dropped out to pursue a career as a musician. While playing clubs in the Lower East Side, Gaga was signed by Def Jam records only to be dropped a couple months later. But, she eventually signed with Interscope and would go on to write songs for the Pussycat Dolls and Britney Spears. After struggling with her appearance and seriously considering a nose job, Gaga impressed singer Akon with her vocal abilities and iron will. It was then that Akon signed Gaga to his imprint under Interscope and her debut album The Fame became her breakout in 2008. 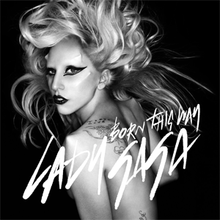 Since then, Gaga has consistently topped the charts with singles from each consecutive album she’s released. Two of the more successful records include Born This Way released in 2011 and Joanne, her most recent album. Along with the release of Joanne, Gaga also performed at the Super Bowl in 2016 giving one of the most iconic performances of all time (convince me otherwise). And, this past October, Gaga made her film debut in a remake of the 1937 movie A Star Is Born. Director and actor Bradley Cooper approached her after seeing her perform at a cancer research fundraiser, but had always been a fan of hers. Gaga and Cooper co-wrote most of the songs on the soundtrack including the hit single “Shallow.” They also performed the song together live at the Oscars earlier this month where Gaga walked away with an award for Best Original Song. Beyond her inspiring achievements in the music industry and Hollywood, what really makes Lady Gaga a special woman to recognize this month is her big heart. She supports over 21 charities and foundations yearly and started her own foundation in 2012, the Born This Way Foundation, that supports youth and build better communities for them. The foundation is particularly focused on combating bullying and homophobia in schools. She has also been a strong advocate for the LGBTQ community, participating in marches and being outspoken about issues affecting the community. Most recently, she called out Vice President Mike Pence during one of the Enigma shows at her residency in Las Vegas for his wife Karen Pence working at a school where LGBTQ people are consistently turned away. I really could go on forever, there’s just so much to say about such an amazing woman and this might be the only article about Gaga in existence to fail to mention the infamous meat dress (whoops, I just did). So what’s next? If there’s anything I’ve learned about Gaga after being a fan for years, it’s that her drive never lets up. “I will definitely continue acting,” she told Vogue in January. “I loved acting on American Horror Story as the countess for Ryan Murphy, and I loved acting in A Star Is Born for Bradley Cooper.” More films in her future, maybe? As of right now, she hasn’t mentioned any specific plans but stay tuned in. I predict she’ll have more content in the works before the summer starts. You heard it here! Information in this article is compiled from pages by Hello Magazine and this article by the Washington Post.